Trouble grows for National Security Advisor Michael Flynn, amid the revelations that he discussed removal of sanctions on Russia before Donald Trump became President. On December 29 — the day that President Obama imposed new sanctions on Moscow over interference in the 2016 Presidential election and harassment of US diplomats — Flynn spoke five times with Russian Ambassador Sergei Kislyak. 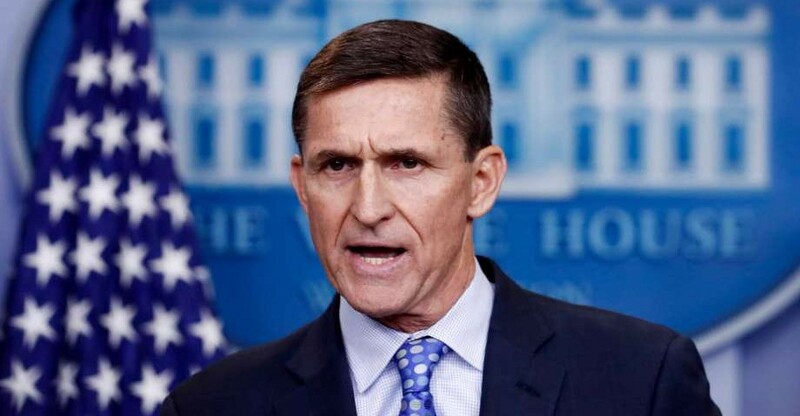 Although Reuters reported the discussions at the time, the controversy has grown in the past week with further information refuting Flynn’s denial that sanctions were mentioned. Trump’s policy advisor Stephen Miller — a close ally of chief strategist Steve Bannon — pointedly refused to defend Flynn in a series of interviews on Sunday morning political talk shows. Instead, he said the White House Chief of Staff, Reince Preibus, and Vice President Mike Pence should answer. Earlier this month, reports indicated that Bannon — the leader of “fire-breathers” challenging “pragmatists” inside the Executive Branch — was pushing aside Flynn, despite their friendship. The chief strategist ensured that, through Trump’s executive order, he was authorized to attend all National Security Council meetings. Perhaps more importantly, he was named a full member of the Principals Committee, the day-to-day operational board of the NSC. The initial draft of The New York Times story said that Bannon’s ally Miller had even chaired a weekend meeting of the Principals Committee, “stunning career officials”. However, the sources for the Times appear to be career officials with the NSC, rather than appointees linked to Bannon and Miller. I’m proud of Steph for standing up for what he believes in. It’s a tough situation for CEOs. You want to make nice with the President because you’re a public company and you have shareholders, and it’s hard to balance doing the right financial thing versus doing what they think is the right thing, whatever your political beliefs are. It’s not an easy position to be in. Or Trump may have been irritated that Cuban was mentioned in a New York Post story as a possible challenger for Trump in the 2020 Presidential campaign. The Post, citing two sources close to the administration, reported that chief strategist Steve Bannon asked consultants to scour the backgrounds of Cuban, Ohio Senator Sherrod Brown, Connecticut Senator Chris Murphy, and Colorado Governor John Hickenlooper. A US-born NASA scientist has been detained and interrogated on his return to US. Sidd Bikkannavar, an Indian citizen and employee of NASA’s Jet Propulsion Laboratory, flew back into Houston, Texas on January 30 after a two-week trip racing solar-powered cars in Chile. He was detained by US Customs and Border Patrol and pressured to give agents his NASA-issued phone and access PIN. The phone was returned to him after it was searched by CBP, but the scientist does not know exactly what senstive information might have been taken. The detention was not directly connected with the Republican administration’s “Muslim Ban”, but CBP have elevated questioning of travellers whether or not they were covered by the executive order issued on January 27. The Council on American-Islamic Relations has filed complaints against CBP for demanding that Muslim American citizens give up their social media information when they return home from overseas.